How Do I Choose the Right Size and Shape Breast Implants? There are nearly as many reasons for why women consider getting breast augmentation as there are types of breast implants on the market. As a result, you may experience some difficulty determining which size, shape, and texture will be the right choice for your unique needs and goals. Dr. Christine Petti, our highly experienced plastic surgeon, helps patients find the most ideal fit possible every day by customizing a treatment plan to suit their desired outcome. With her help, you can narrow down the implant style to one that optimizes your shape, volume, and projection while maintaining the most natural look possible. Silicone implants typically offer a more natural-looking appearance and feel as compared with saline, depending on your skin type and build. Additionally, the Natrelle® 410 Shaped Gel implant, commonly referred to as the “gummy bear” implant, has a natural shape and fullness to create the desirable, womanly curve so many patients request. To help maintain the beautiful results for the long term, the Natrelle® 410 is textured, which helps the implant stay in position regardless of your lifestyle. The Natrelle® 410 won’t be right for everyone, and Dr. Petti will be happy to help you determine if this product or another style of implant can give you the results you want during your initial consultation. As for size, you should work closely with Dr. petti to determine what volume looks best with your body type and can provide the fullness you’re seeking. Some factors that can affect this issue include skin thickness, width of chest, and build. 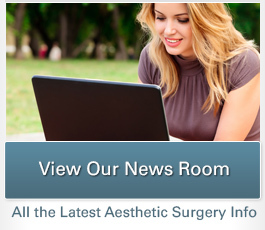 To help in this process, Dr. Petti uses computer-imaging technology to show you how your breast augmentation results potentially could appear based on the specifications you select. 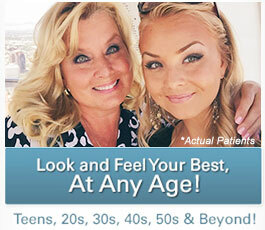 Don’t guess which breast implants will look best; see them for yourself before you have surgery! Dr. Petti believes choosing the right breast implants for your anatomic needs and cosmetic goals should be a collaborative experience that places your safety, comfort, and outcome foremost. If you have additional questions about breast implant types, or if you would like to schedule a consultation with Dr. Petti, please contact us today.